My struggle with English language and how I mastered it. 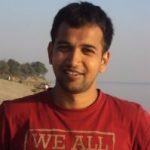 About the author – Sarvesh Agrawal is the founder & CEO of Internshala. This is the opening article for English with Internshala series – an initiative to help students improve their English proficiency and thus communications skills. In my journey of 5 years at Internshala, I have learned how hugely important & life-saving communication skills are. In fact, the ability to write moderately persuasive content was the only relevant skill I had when I started Internshala in 2010. And yet, today when I see a large number of students struggling with writing even one paragraph in their internship applications without spelling or grammatical errors in it, I wonder why we are not able to convey the importance of this skill to our students. Maybe, it is so obvious that we don’t realize its value until it hits us (like how everyone knows that exercising daily is good for health but few do it) or maybe we don’t even know that we need to improve. I have also come across students who know their English is weak and want to improve but don’t know where to start or lack the confidence. This story is for them. The first couple of months were hard; I was very conscious of my (lack of) vocabulary, poor pronunciation, and the fact that I had never conversed in English before. Fortunately, my grammar was good (thanks to my English teacher in school), but I just never had the opportunity to listen to or speak the language in my entire life till that point. Invariably, I would make mistakes while speaking and it would get pointed out. I would write my class notes in Hindi (Ex. द कॉन्क्रीट इज़ मेड अप ऑफ सीमेंट, फाइन एंड कोर्स अग्ग्रीगट्स) and come back to my room to find spelling and meaning of each word and re-write it in English. To be able to ask questions in the class, I would carry a Hindi to English dictionary so that I can find correct English words for the question that I had phrased in my mind in Hindi. But somehow (courtesy friends and professors), I was not embarrassed by it & took it as an opportunity to learn something new. I made a pact with my first-year roommates (Hey Tyson & Munda!) that they would speak to me only in English and bear with the mistakes I make and help me improve. I told my professors about my Hindi background and they understood that I will stutter when I ask or answer a question in the class. I started reading, a lot. I used to devour The Hindu newspaper every day and even if I understood very little of it, I would write one page in my own words about the headline of the day and read it out in front of a mirror. A friend introduced me to the fascinating (Don’t you agree?) world of Sidney Sheldon and I got hooked. This continued for 6 months, and I could see gradual but definite improvement in my vocabulary. I could identify patterns of the grammar that I had learned in the school in the novels I read now, and my confidence took flight. Soon, I graduated to different authors (Jeffrey Archer, Michael Crichton, Ayn Rand, Paulo Coelho etc.) and started participating actively in all the discussions that used to happen on the wing cot and in various hostel/campus activities. The defining moment came in the 3rd year of my college when I wrote the GRE Test and scored 1530 out of 1600 – the highest in the campus that year. My wing mates threw me a party, raised a toast, and remembered the long way I had come. Later, I started writing and experimenting with word/phrase usage and developed the moderately persuasive content writing skills that I talked about at the start of this post. My communication skills (and the confidence they gave me) helped me secure various leadership positions on the campus, an exciting job (I started my career with Capital One in the UK) when I graduated, and eventually in building Internshala. So here you go, that’s my story of learning the Queen’s language. I can not overemphasize how hugely important a skill it has been for me and how not so difficult it is to master it if you are determined. ‘English with Internshala’, a series of articles that we would be writing, is our attempt to help students in Internshala community polish their communication skills and shine forever. Stay tuned and hope you make the most out of it! PS – click on ‘Next’ button below to read the next article of English with Internshala series. PPS – Do tell us in comments what do you think of the initiative and how we can make it more useful for you. 1.Have some tie ups with NGOs which are working in the same field. 2.Create a platform where students who are lacking good communication skills could communicate with students having excellent communication skills. 3.Should organise workshops for enhancement of communication skills. I hope that Internshala will surely look into this matter and make a positive effort in this field.Thanks. I am also lacking in speaking skills. As I have paticipated in group discussions but i am not able to communicate like all other participants are doing. Give some tips to improve my speaking. How can I improve my English in the professional way to speak proper way. To achieve communicative competency, you may practice grammar and sentence structures. Also, a comprehensive reading of books and newspaper can be of help. Internshala has developed a course for improving communication skills. Please find the link below. I am truly inspired after reading your article. Ianinterested to improve my communication skills through your blog. Please advise me. Thanks for your valuable information and guidance to English learners . I have became really very confident after reading your article and I appreciate your initiative too. I am not as bad as you used to be but surely I lack confidence when I know that I have to speak english in front of the huge crowd or whenever I have to speak it out fluently. Please mentor me or how me a path to get me out of this, I will be very obliged. We are glad to know that we could be of help. If you don’t feel confident enough, I suggest you converse with your friends in English. Also, stand in front of a mirror and speak on any topic of your interest. This would help you gain confidence. I am good in language speaking with others individually but when comes to a group of people like stage fear lam unable to speak a single word how I can get out of the problem. This is a opportunity for youths to build a command over language specially for their bright future at right time. I really appreciate you Sir for this remarkable step taken with the help of internship. I really like your life story. Once again u proved that nothing is impossible…..!!!!!!!! Really, such a great motive contents. the struggle you have done until the success comes to your feet. I think most of the students lack the vocab, so in order to improve that they should be forced to learn this thing in the early stage ASAP. Mostly the colleges student feel very bad when they realize that there is no existence without English at that stage. So it should be improved earlier. Thanks for sharing information ,It is very important knowledge for english. Nice topic,congratulations,thanks for sharing,please share other posts too. Thank you very much for publish a valuable information. Very Inspirational Post. thank you sharing you life story its really amazing that how you work hard to learn. Excellent and i must say honest job! I suggest you converse with your friends in English. Also, stand in front of a mirror and speak on any topic of your interest. Being a German, I always had problems with English proficiency. It took me almost 3 and a half years to learn English. The importance of English proficiency can be understood by the fact that world leaders speak English. It is second most popular language in the world. Thanks for the blog. it will help the beginners. Thanks for sharing the article. Being a student from the State Board, I have always struggled with Spoken English and your article relates to my story. Thanks for taking an initiative for sharing your story. Really this is so motivational and inspiration information. I hope everyone taking benefits of this. I am so glad. Thanks for share with us. love to hear your thoughts on how we can improve experience in particular field.